2. The first impression matters! 3. Send a thank you note! My blog post will frame job interviews as a science and how certain variables affect the outcome. Awareness of these two sets of variables can empower you to persist and be patient with the process. Chemistry is the major driver of interviewing success. 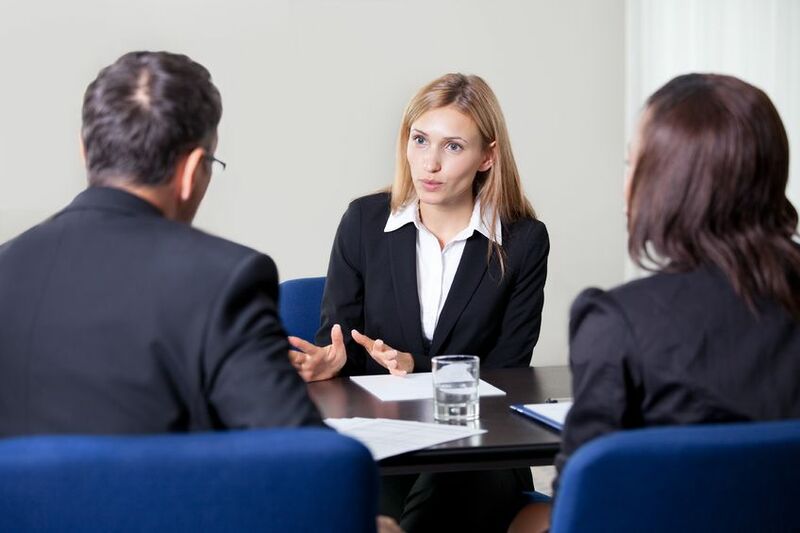 There are certain elements of an employer's personal bias, first impression beliefs and personality preferences that influence hiring decisions. Simply put: Just like a science experiment, there are variables that can and cannot be controlled. So, let's use the scientific method to empower you to success!!!!!!! If you follow this method and frame your interview in the following way, you'll have positive results. Why should this employer hire me? The key point to any successful job interview is to have a resume that lands you the interview. The platform for this must begin by targeting your skills to an employer resulting in seeing you as a potential solution to their gap. Knowing your skills and having the ability to express, display and quantify your results is a variable within your control. The compound chemicals that you mix in an interview results in a positive dynamic interaction or an unfocused dud of awkward discussion. Here are your chemicals to bring to the table. In the next post, I will explore the second stage of a successful interviewing methodology. Today's career and job search vocabularies are saturated with a word that usually contains a negative connotation: networking. Networking, a word birthed in pyramid schemes contains the sense of using or being used for the benefit of another. Its also known as small talk, benign or useless conversation and the most dreaded of all job search activity. Many people see networking as a necessary evil in the job search resulting in anxious awkwardness. Networking when I need it is all about me. Networking when you need it is all about you. What about a style of connecting that is all about "us"? The interdependent need to grow, develop and expand our professional sphere with positive influence needs to be rebranded as career pollination. It is intentional, purposeful and vital to the overall wellbeing of our livelihood. Let's reframe this very important and essential activity in a positive and sustaining light. Just like bees and hummingbirds pollinate the world, we do the same for one another. Our relationships must be a give and take demonstration of trust and positive action. This can harness great power to diminish discouragement and alter the course of our careers. Career pollination is defined as the intentional transfer of information in the world of work from one professional to another. It is the key prerequisite for successful job searches and future opportunity. It is the fusion of two or more persons' knowledge synchronized to each other's professional needs. It is a symbiotic and mutually beneficial relationship to the person, company, industry and world. Pollinators are those incredibly important people who naturally make us feel comfortable, validated, and needed. They bring mutually beneficial people together for the common good of everyone. I can think of several pollinators in my life who are linked to my professional development and success. They've knocked on doors and introduced me to people I would never have otherwise known. Pollinators connect people for positive outcomes that benefit all. 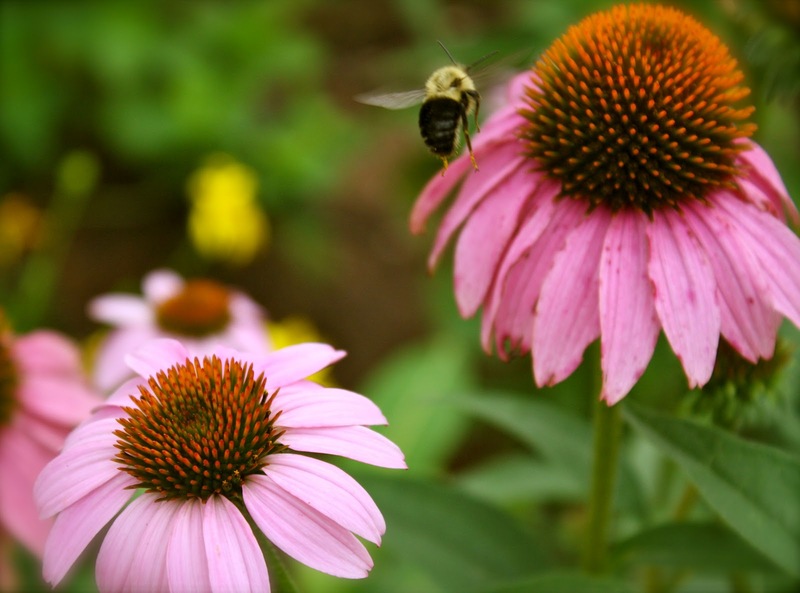 How am I pollinating other colleagues' success? This is the key: building intentional relationships for the common good as we exchange information makes the world a better place. Just like one bee cannot possibly pollinate the entire floral landscape, we cannot navigate the world of work alone. The more we pollinate, the less discouraged and isolated we tend to be. Connecting to people and transferring information to another can have profoundly positive effects. 1. We reproduce successful relationships with colleagues and industry partners. 2. We tap into the nectar (positive energy) of relationships with one another that inspires us to greater success. 3. We provide an important service to humanity by connecting to each other. What is truly more important? Pollinating is becoming a lost art because we no longer make the time and space for it. 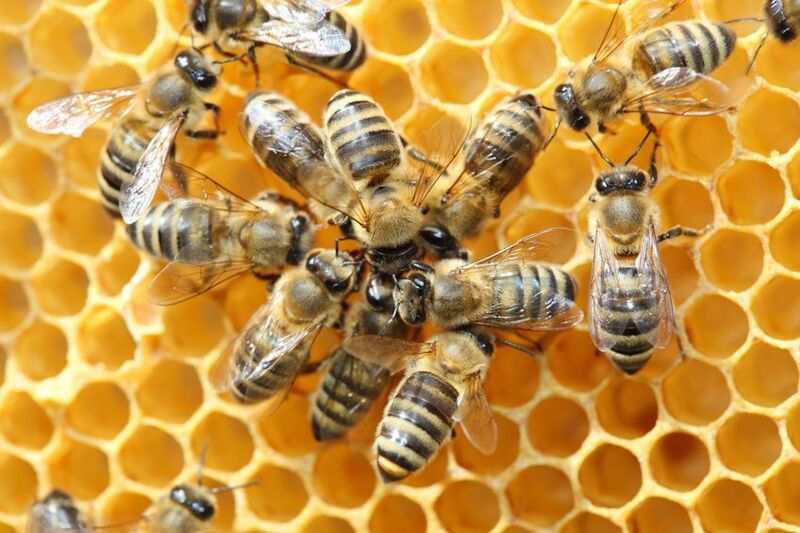 Creating a beehive of active relationships and takes time and energy. It doesn't happen overnight yet every moment spent produces great reward. 1. Have lunch twice a month with professional colleagues. 2. Have coffee with an industry expert every three months. 3. Read one book a month on your career trends, future growth and best practices. Have conversations with co-workers and give the book as gifts. 4. Join at least one new professional organization each year. 5. Take a class at least once every two years to enhance your professional development. 6. Volunteer in your community. 7. Take a moment and meet all the neighbors on your street. 8. Write an email of appreciation or affirmation to your colleagues or better yet, a phone call!! 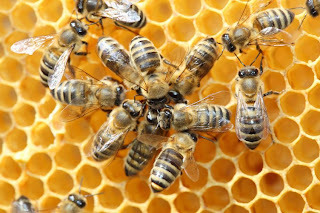 The honey of career pollination is found in the connectedness of other professionals who challenge, encourage and develop us to be our best and find meaning in our work. How healthy is your hive? My wellbeing depends on it. In a previous post, the lion of discouragement seeking to devour the hope of all jobseekers was put on notice. Read it here. Job seeker discouragement is the most pervasive predator of successful attainment of employment. Simply put: the jaws of being down-hearted will slow your success to finding a job. 1. Employers aren't responsible for your livelihood, you are. 2. If your previous job is now obsolete, it won't return in its current form. Have a funeral and mourn the loss. But do not bury your hope and determination to work. 3. It is and shall indefinitely be the employer's market. This means you have to be intentional and active in finding the employer who needs your skills. Discovering your employer is an art in itself. 4. Reframe your job hunt starting now. Instead of seeing the process as overwhelming and daunting, embrace the opportunity to show core competencies every employer needs. In the end, the most powerful job search strategy isn't a methodology. It is a relationship. A relationship between you and the world of work and how you engage it daily. This directly correlates with your success. Step back, assess your strengths and let go of having to remediate a weakness. Focus today on learning, building, and moving forward. This attitude will catapult your search to a new level of intentional pursuit. Focus on what is good. Focus on the small accomplishments of each day. The best way to slay the lion of discouragement is to learn the science of pollination.